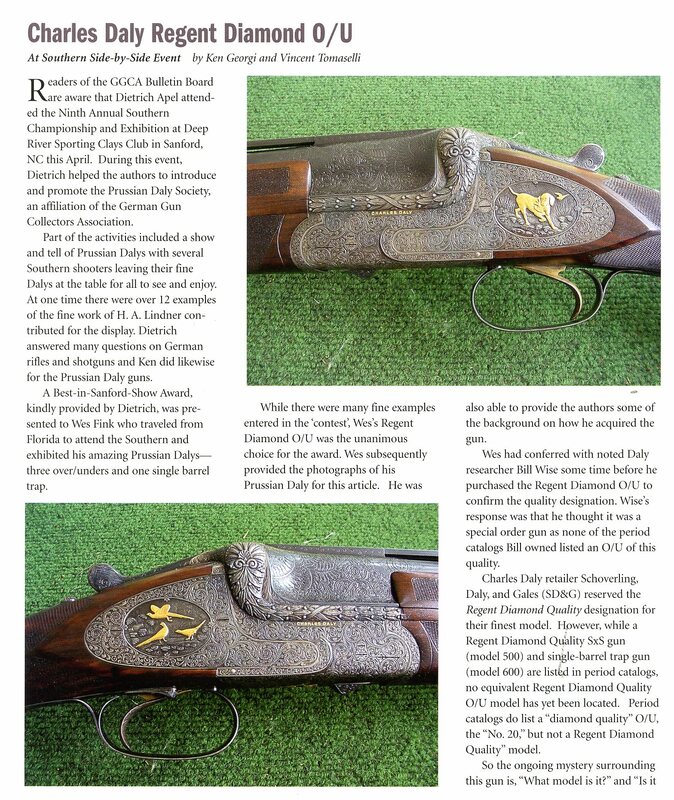 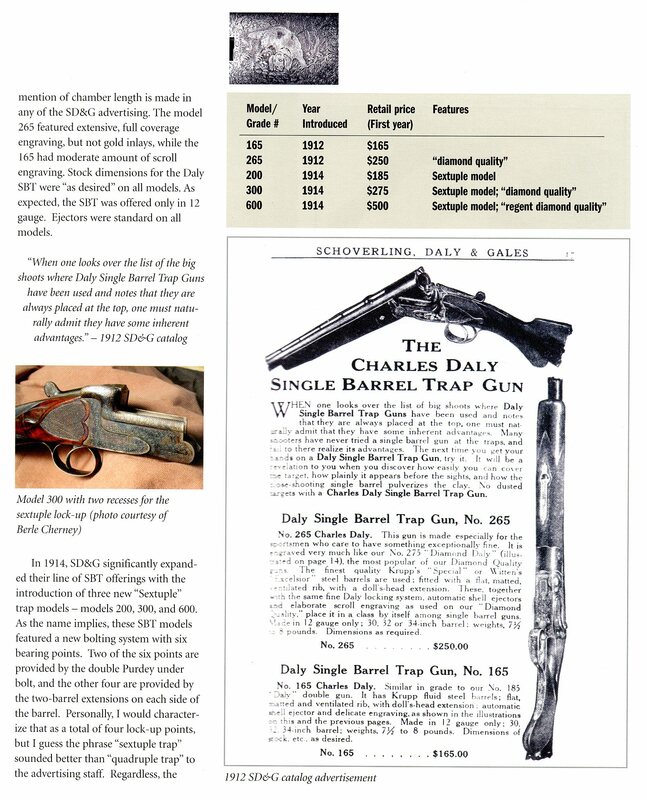 The German Gun Collectors Association has a 1907 Schoveling, Daly & Gales catalog reprint available for purchase. 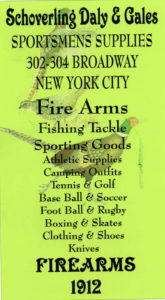 Click Here to go to their site to view what they have to offer. 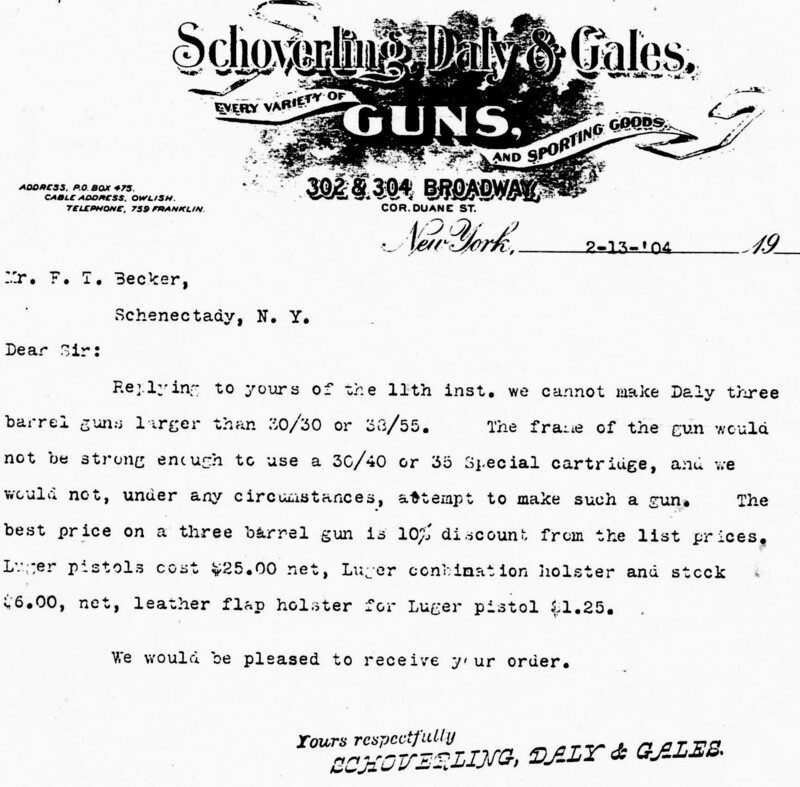 As the list of gun related companies in Archives- Gun Makers & Importers-Brooklyn, NY shows, Schoverling Daly & Gales was among this long list and one of the most prominent ones. 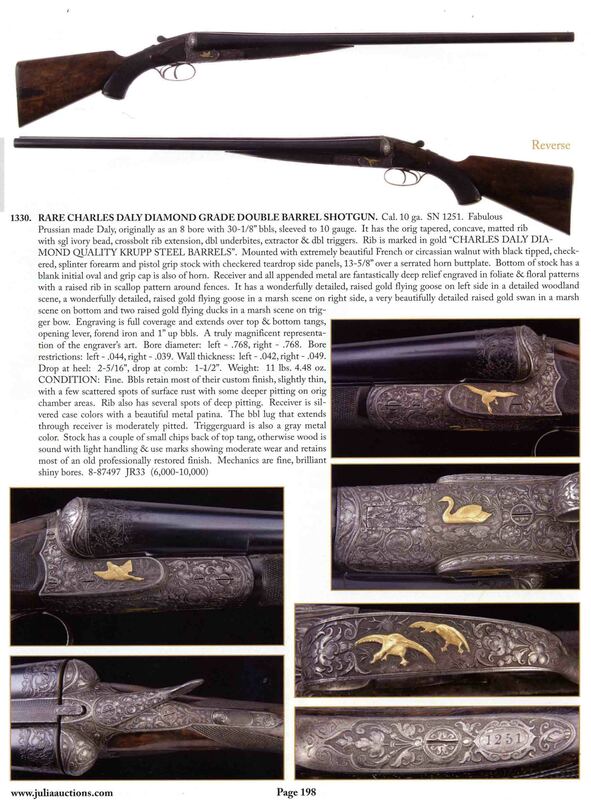 Their 1912 mail order catalog with 260 pages shows that they carried a great assortment of guns, fishing tackle, sporting goods and clothing. 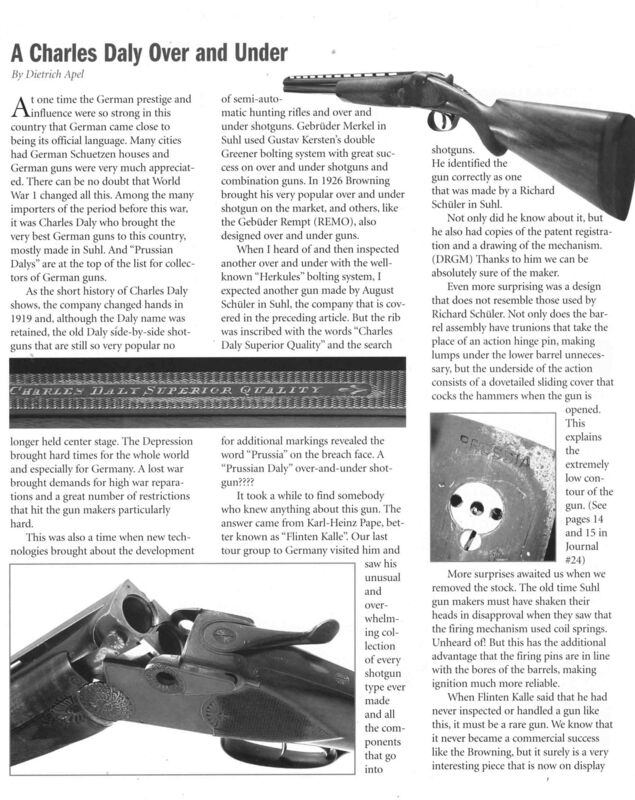 It is remarkable that the first 18 pages are devoted to guns imported from Germany. 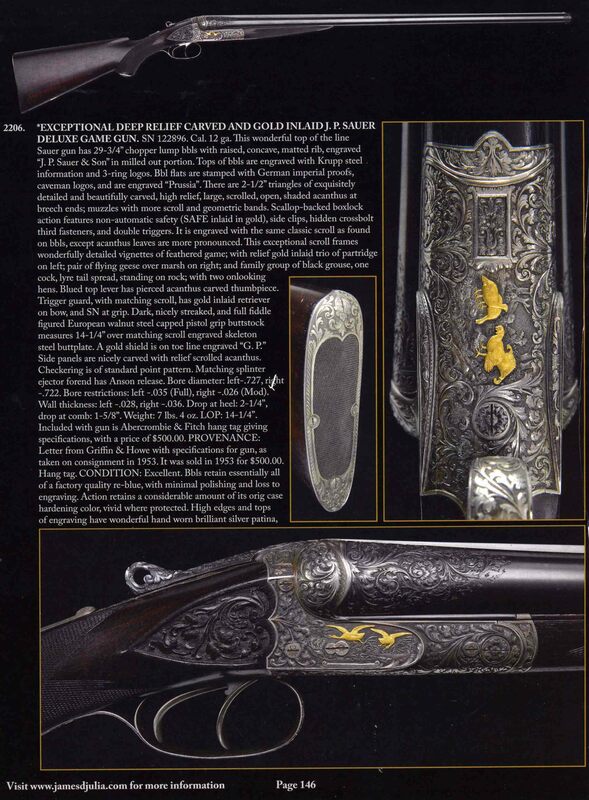 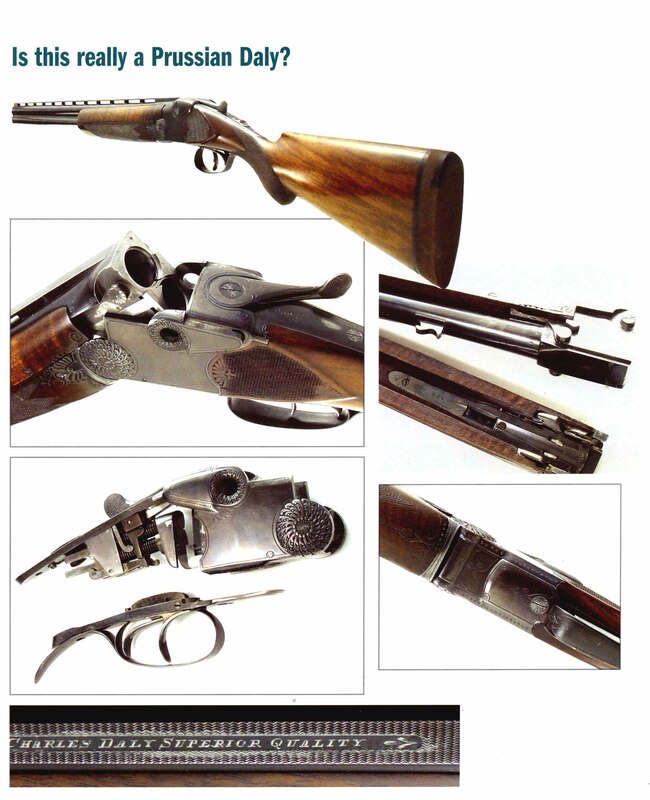 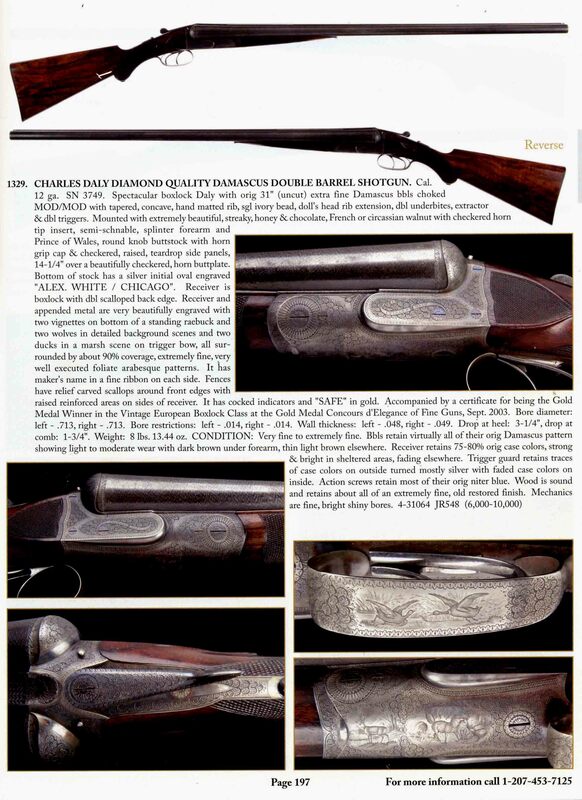 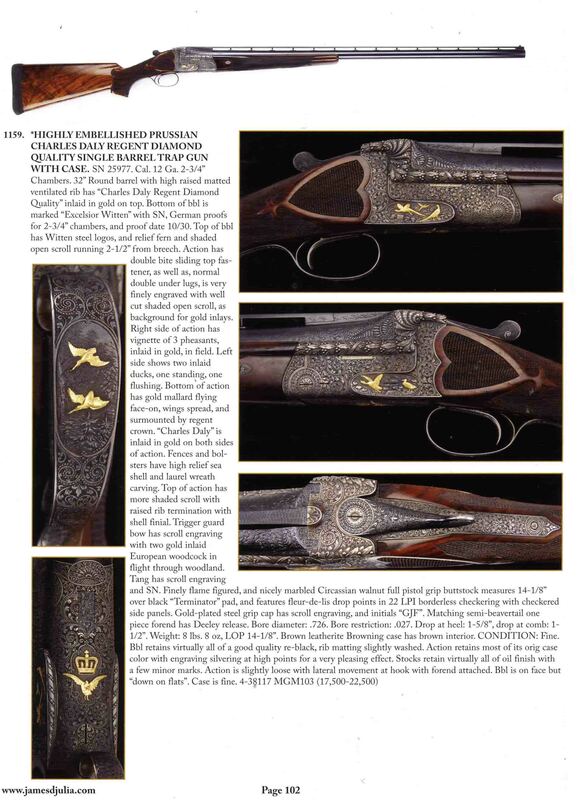 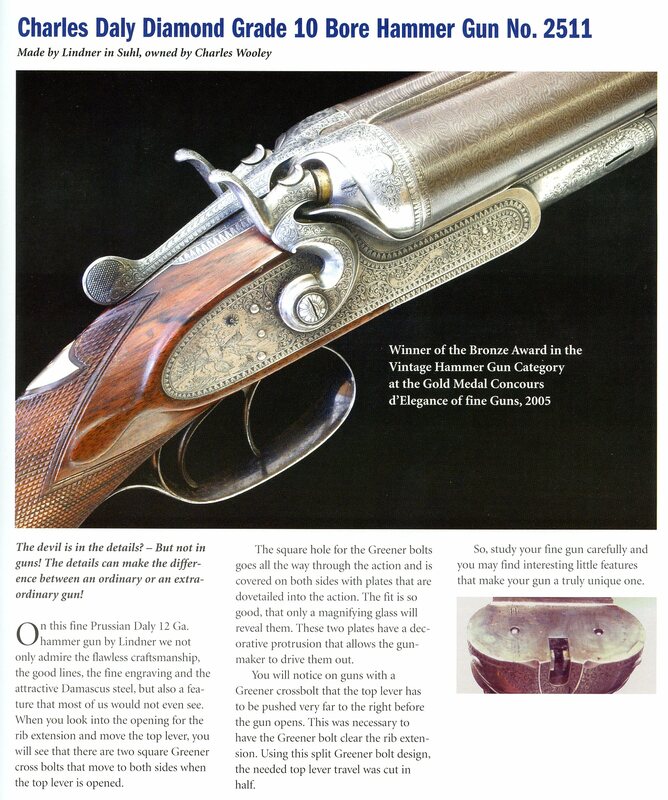 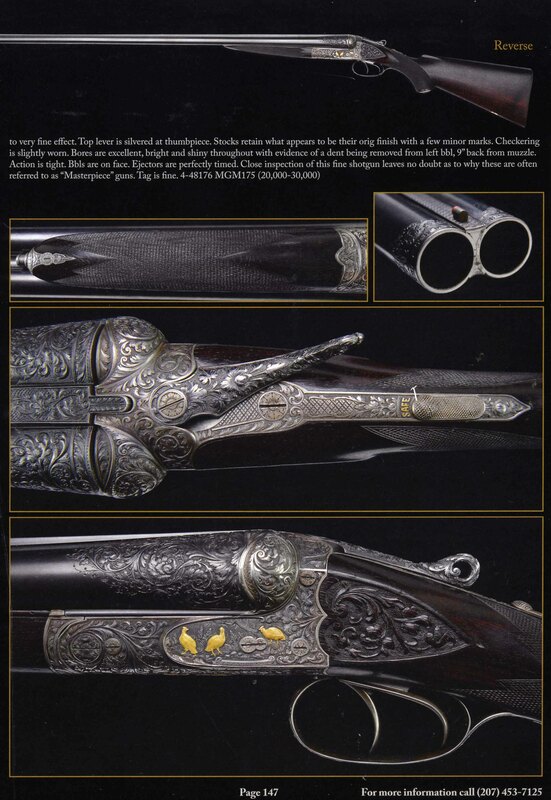 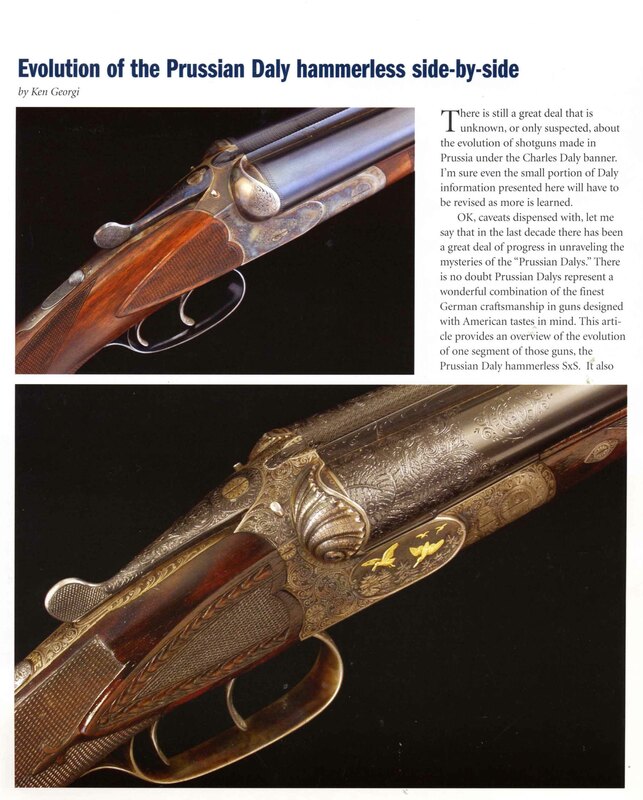 The “Flagship” of the whole catalog were eight pages that are devoted to the “Charles Daly Guns” and the top of the line “Regent Diamond’ quality gun listed first. 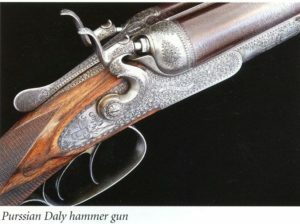 The price of this gun was $500; a very respectable price at a time when the least expensive imported cape gun sold for $50, and a hammer Drilling for $90. 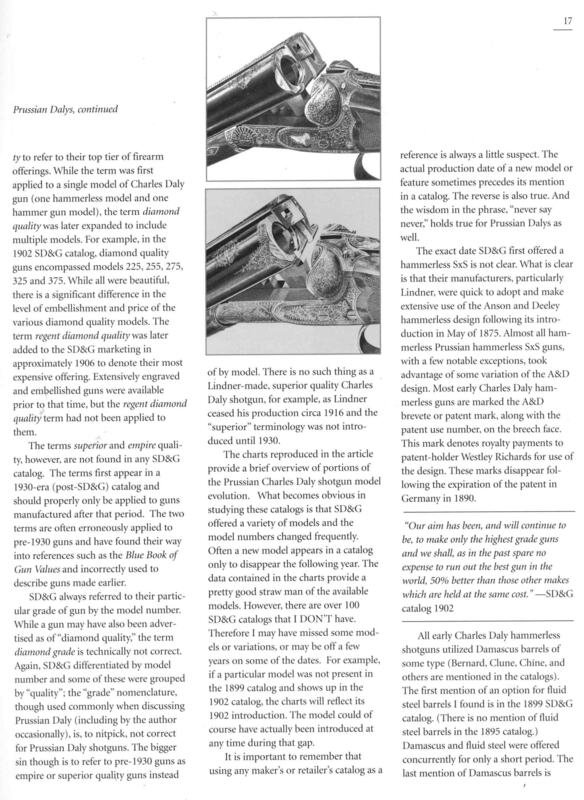 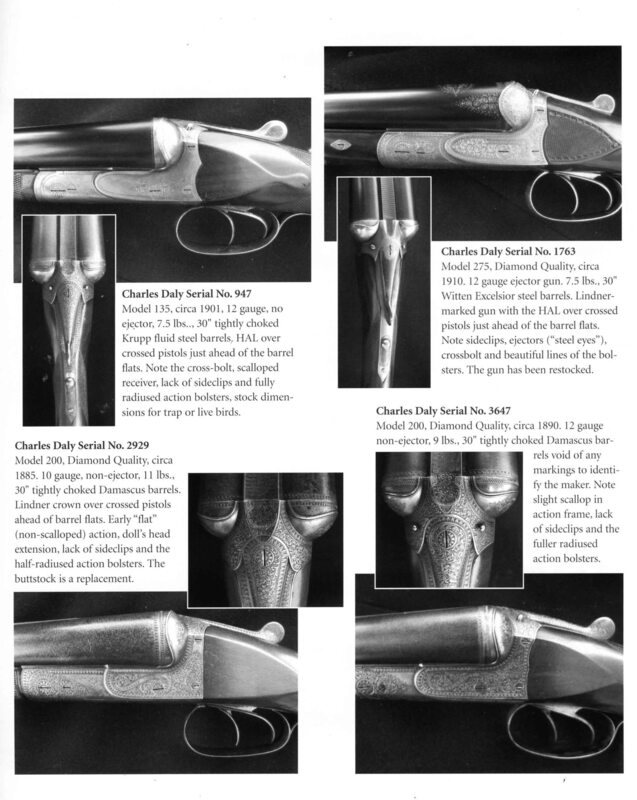 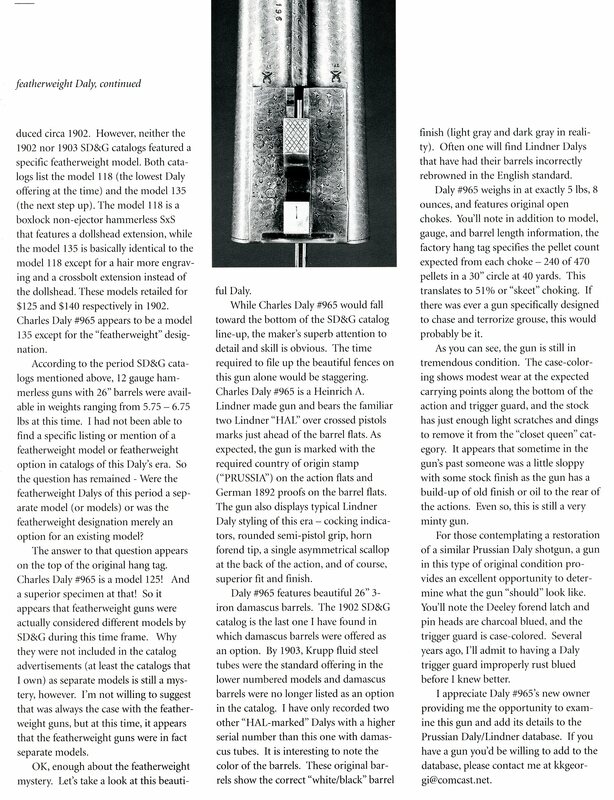 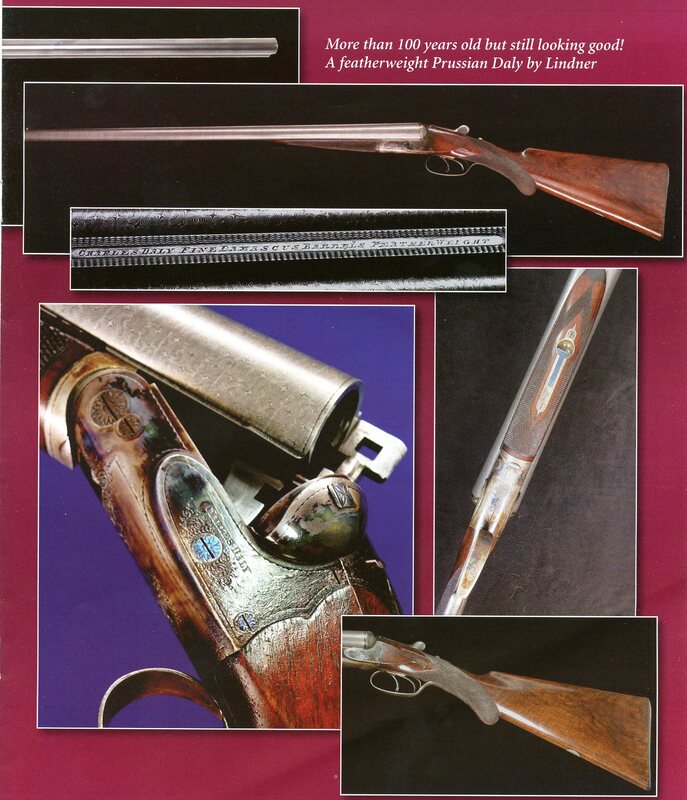 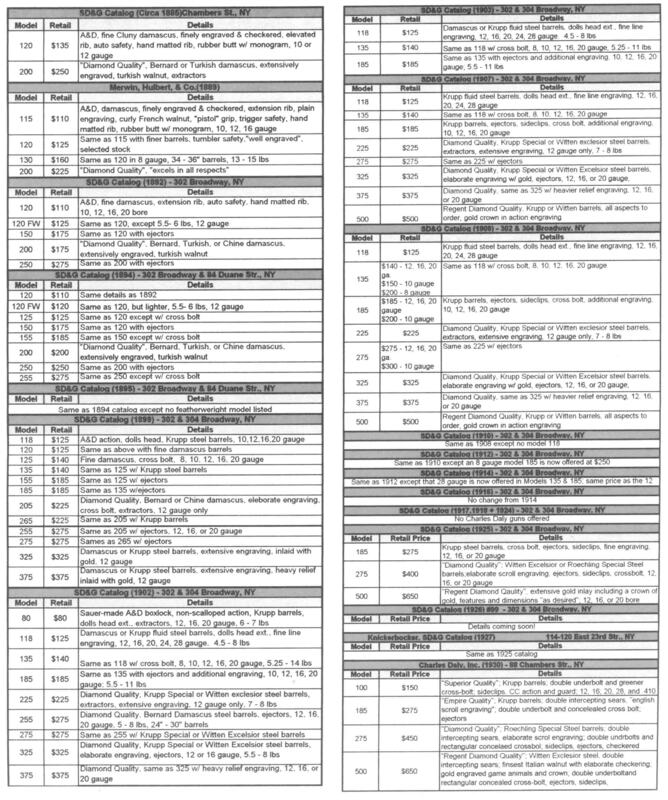 The following two pages show the Charles Daly single barrel trap guns priced at $165 to $250. 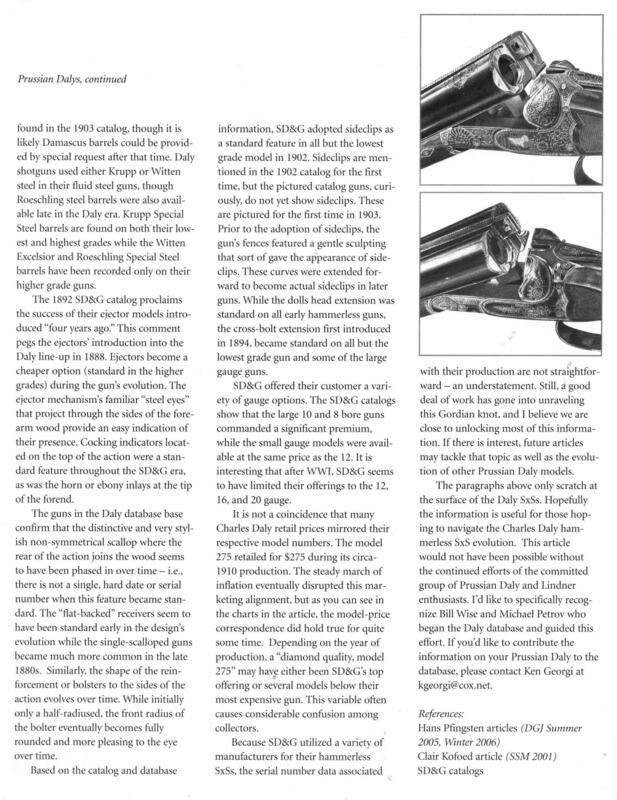 Eight additional page show and describe seven side-by-side shotguns made by the Sauer Company in Suhl, ranging in price from $60 to $600. 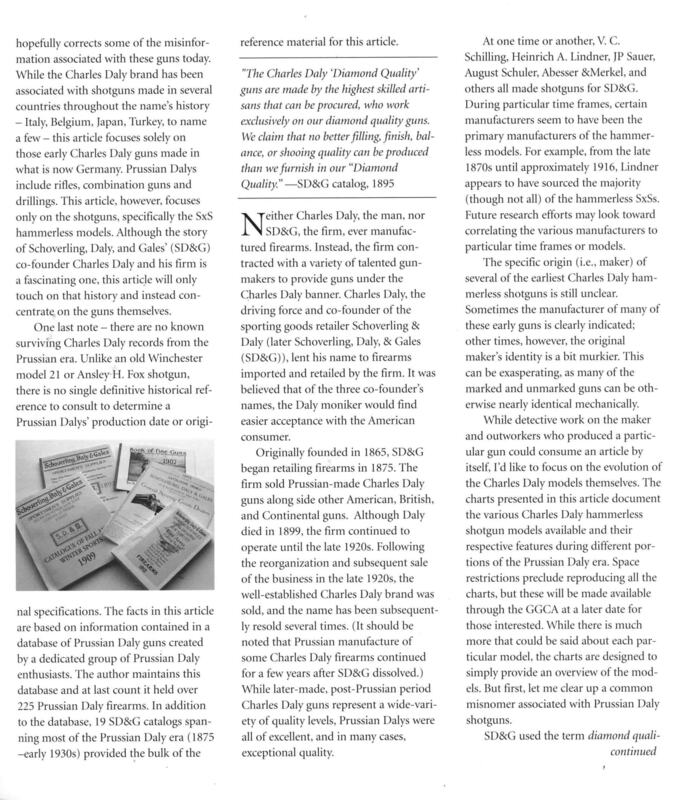 These catalog pages are from a reprint of the 1912 catalog is available from cornellpubs.com. 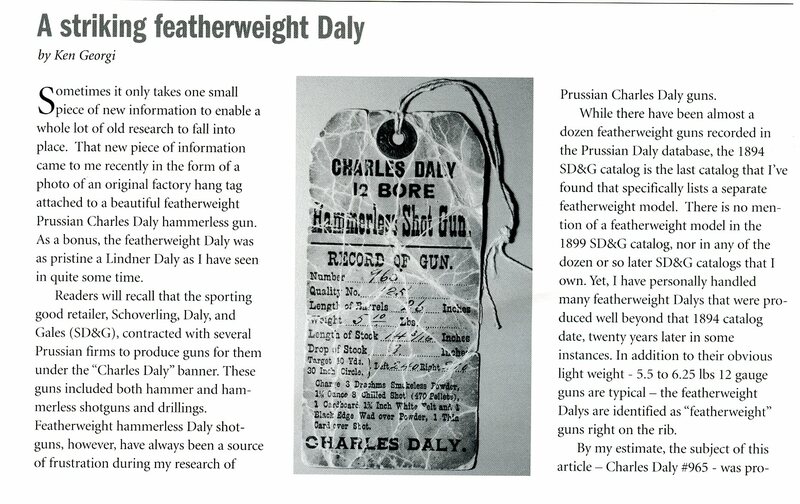 As the label on the right shows, Charles Daly was quite familiar with the gun makers in Suhl. 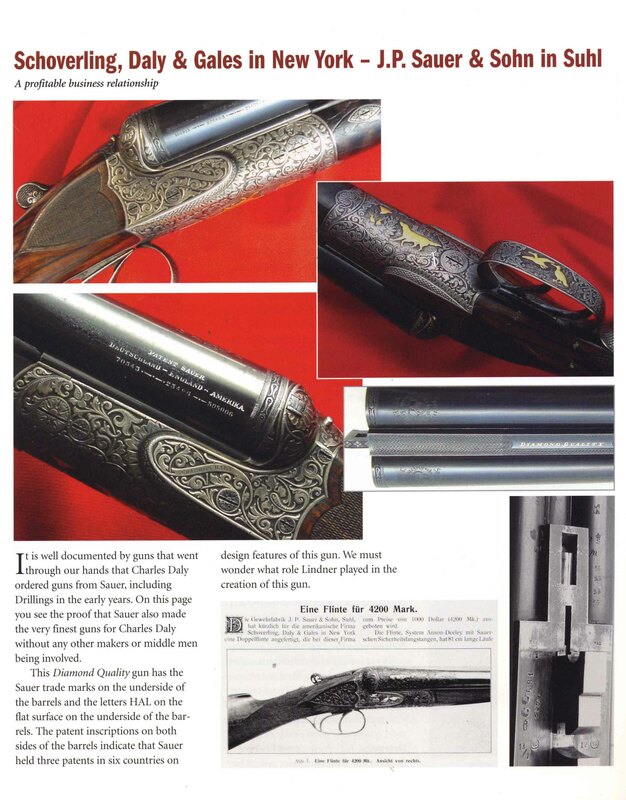 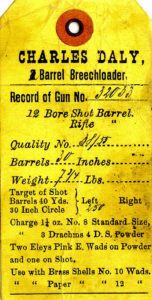 Early Drillings he advertised for sale could have come from various gun makers in Suhl and the catalog pages of Sauer Guns show that he was closely connected to the Sauer Company, at the time the biggest gun maker in Suhl. 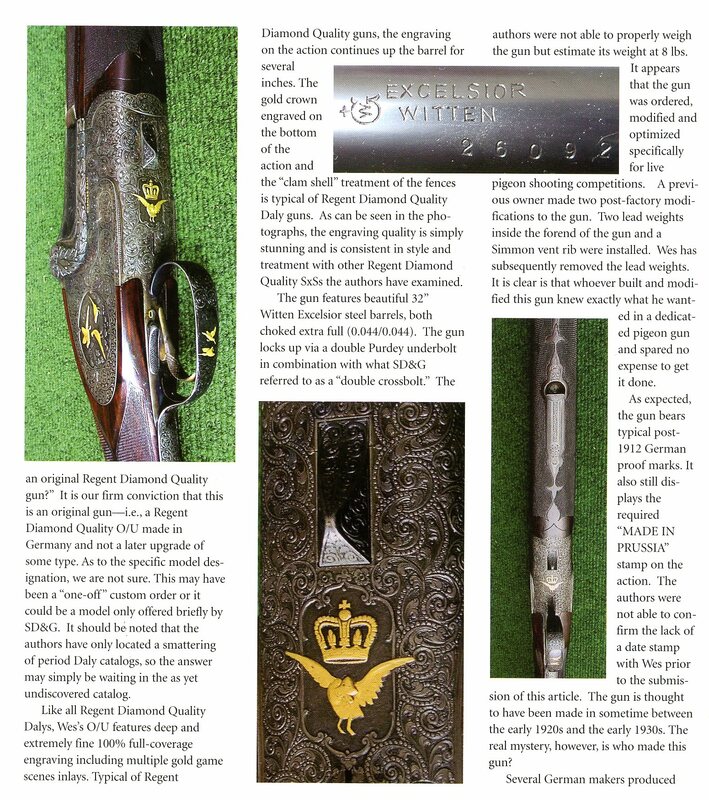 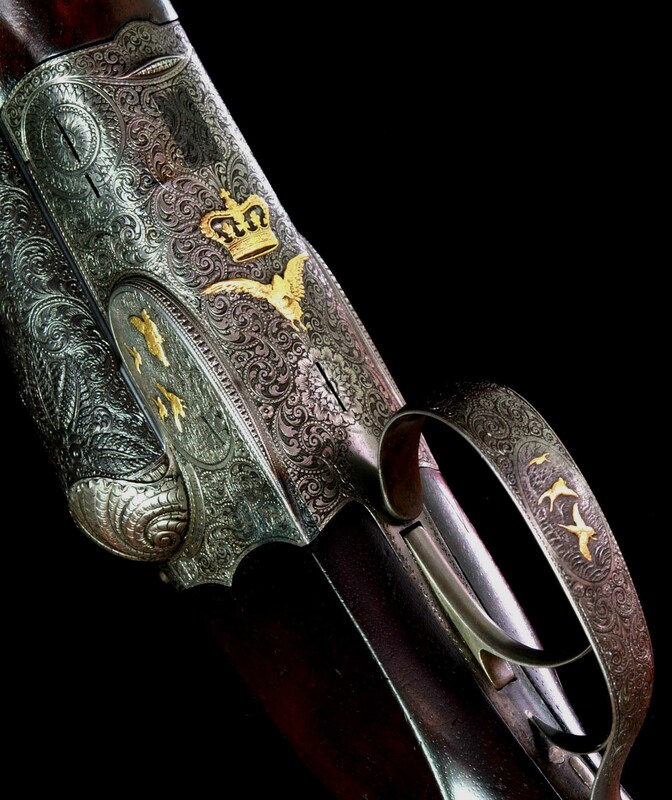 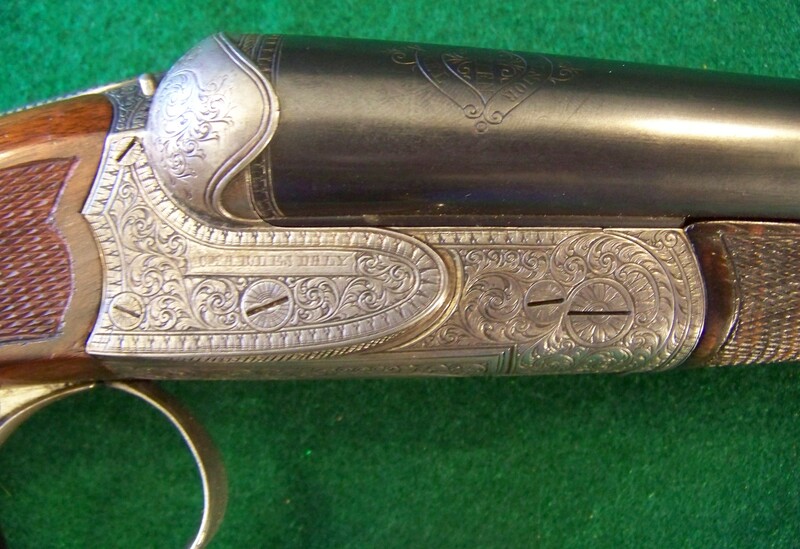 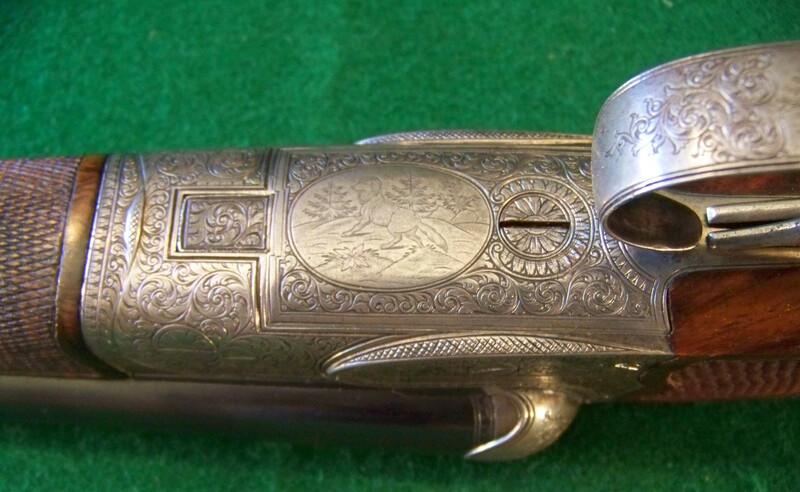 This familiarity must have led him to Lindner who employed only a few gun makers but had work done by the best craftsmen and engravers in Suhl. 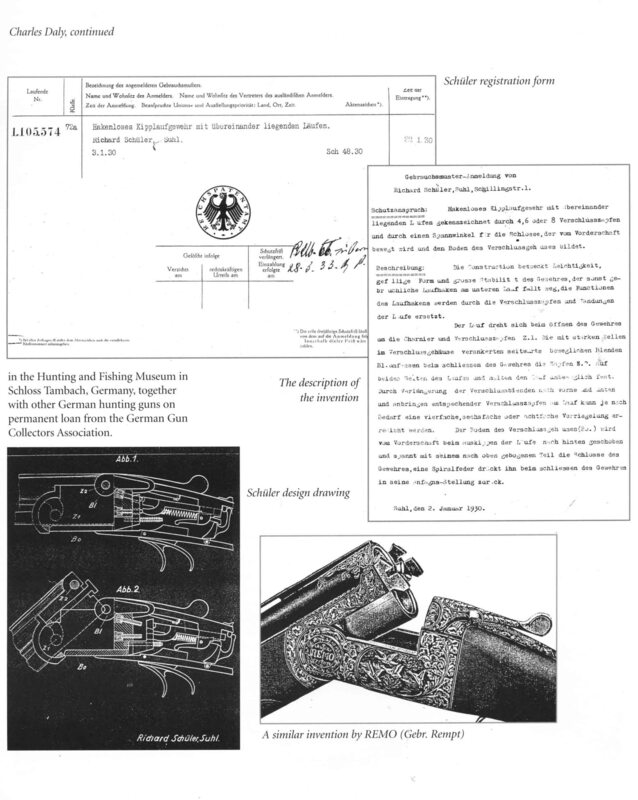 With the beginning of World War I in 1914 the connection to the Suhl gun makers came to an abrupt end. 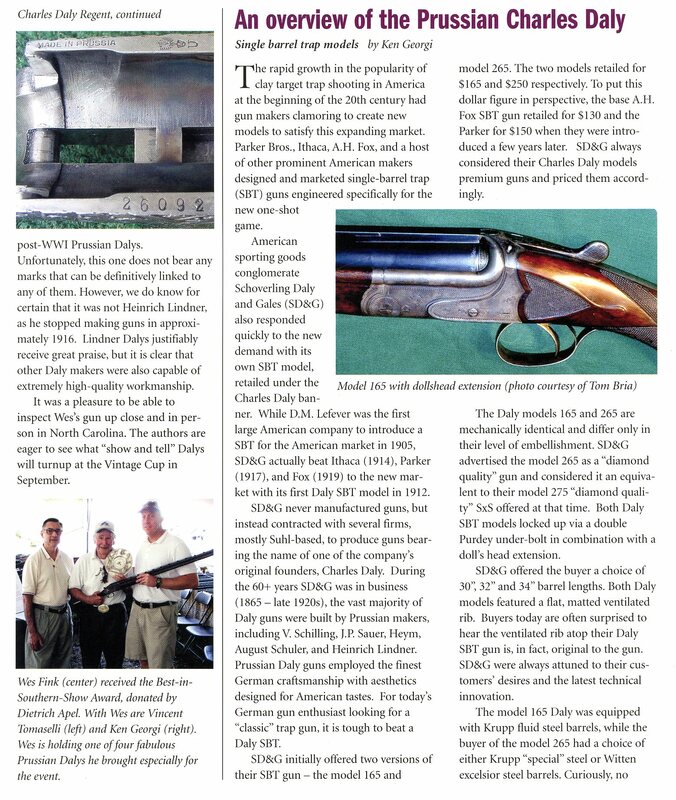 While Sauer survived Lindner closed down his business and retired, but he still must have had some connection with Daly and was possibly instrumental in finding another maker in Suhl. 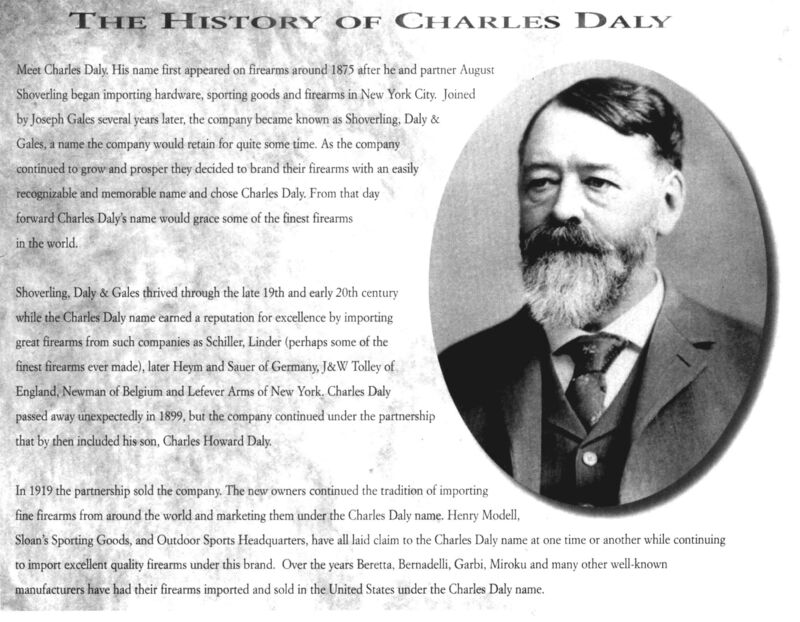 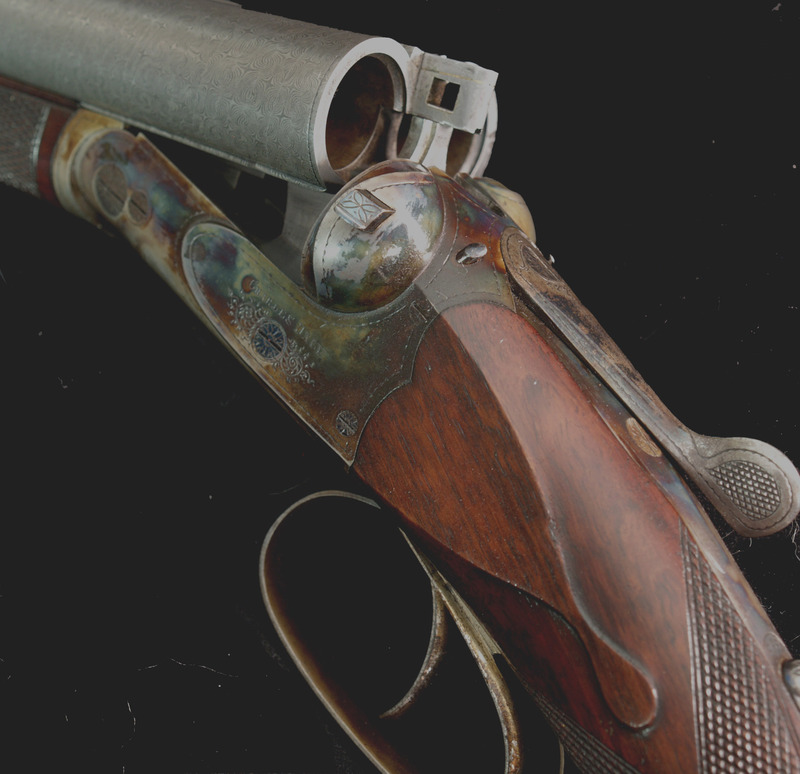 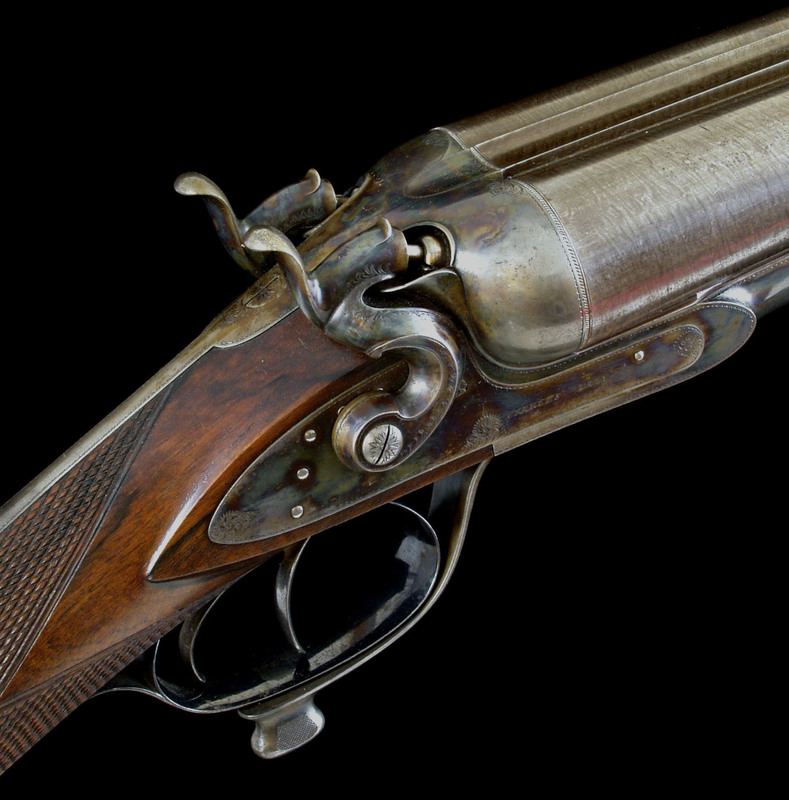 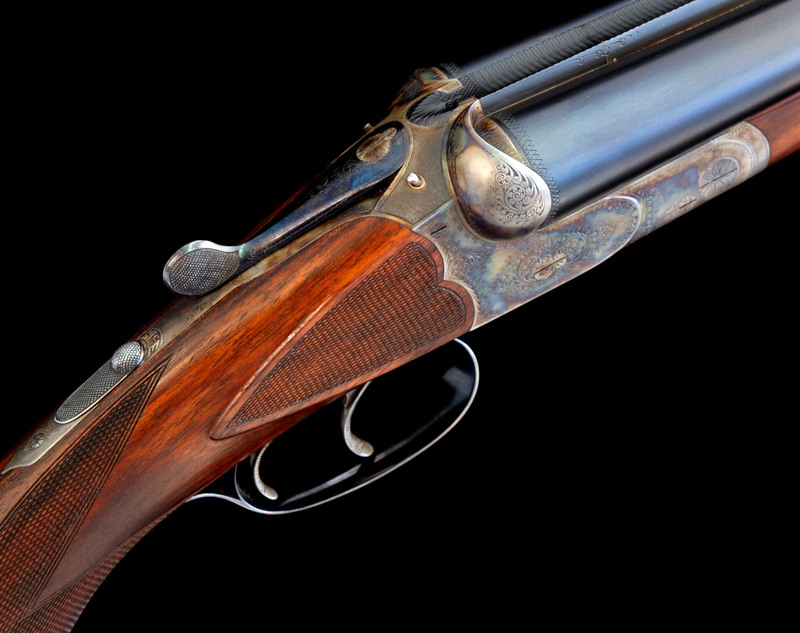 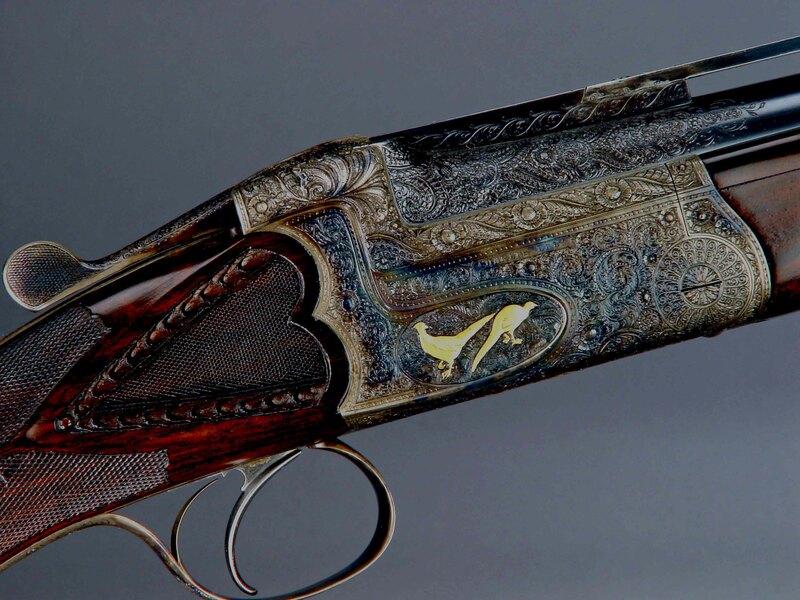 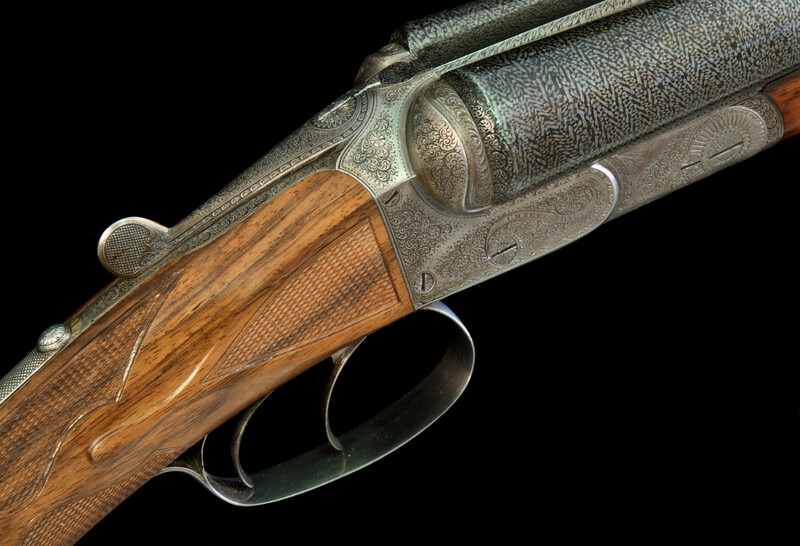 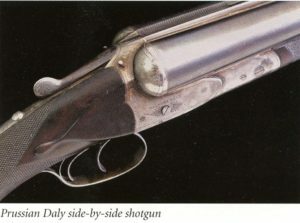 You will find three articles about Daly shotguns made by Schüler in Suhl. 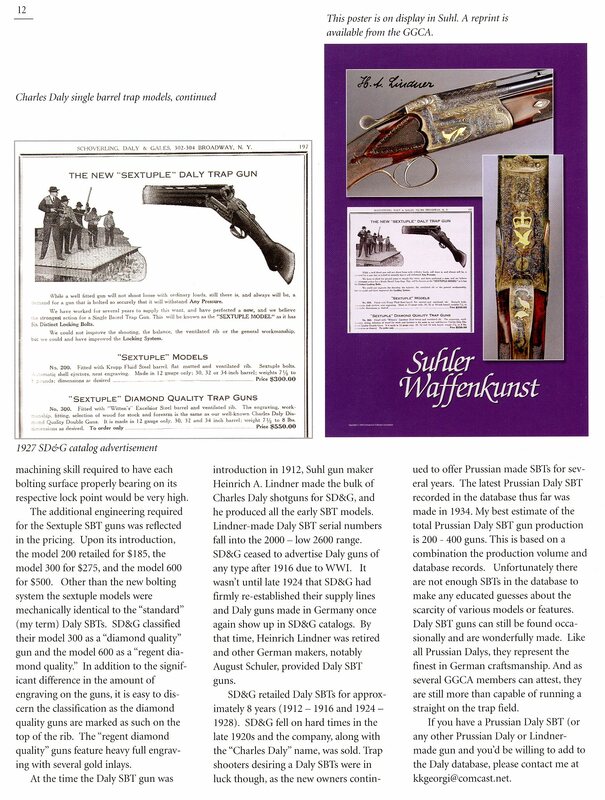 In the Lindner listing in Section 5 you will find additional information and links to more articles in our archive. 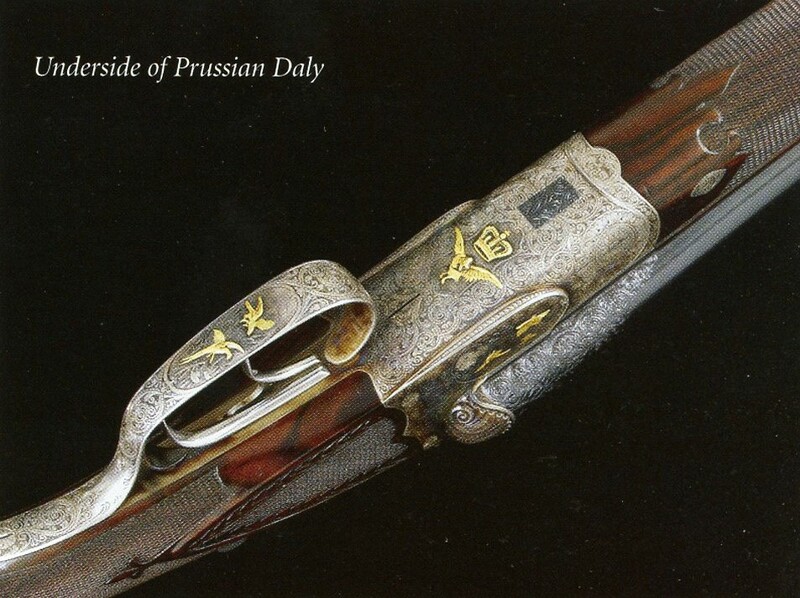 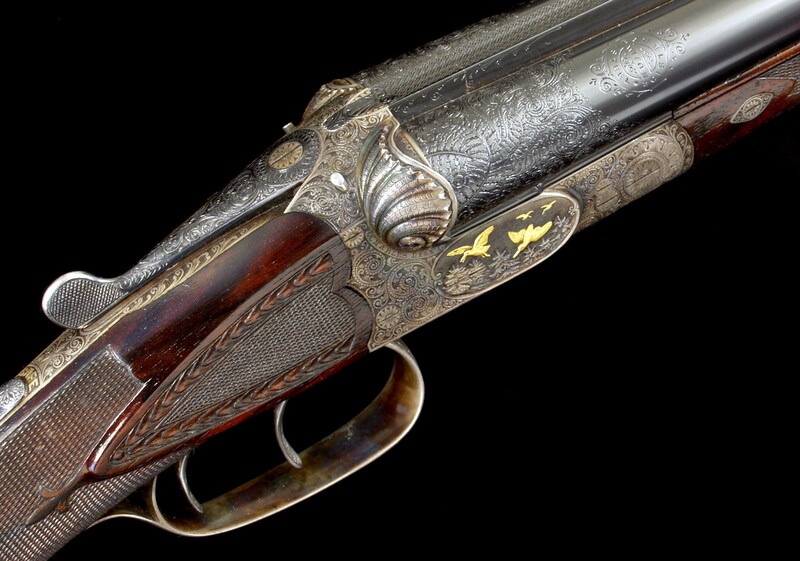 Enjoy a Photo Gallery with photos and auction catalog listings of Prussian Daly Guns by Lindner and Sauer. 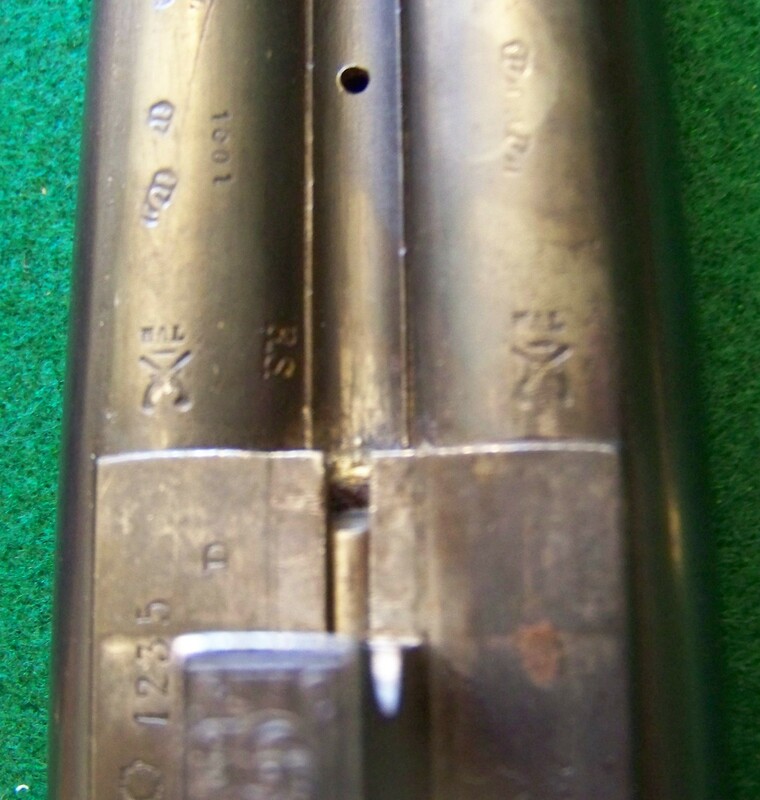 Views of a 16 ga. Charles Daly Diamond Grade made by Lindner in Suhl.